For other songs, see Love Will Save the Day (Boyzone song) and Love Will Save the Day (David Usher song). Not to be confused with the song "You Gotta Be" by Des'ree. (1988) "One Moment in Time"
"Love Will Save the Day" is a song recorded by American singer Whitney Houston from her second multi-platinum studio album Whitney (1987). The song was released in July 1988 by Arista Records as the album's fifth single. "Love Will Save the Day" is the fastest-tempoed song on the album Whitney. Written by Toni C, produced by John "Jellybean" Benitez and featuring Roy Ayers, it is one of the uptempo numbers on the album that also includes "I Wanna Dance with Somebody (Who Loves Me)" and "So Emotional." Los Angeles Times editor Robert Hilburn described the song as a "hollow dance track that tries to mix social comment with dance-floor vigor." Rolling Stone's Vince Alleti wrote: "Jellybean clicks neatly with "Love Will Save the Day," the only song to even remotely acknowledge the problems of the world at large and the most vivaciously percussive track on the record." Whitney fanpage described this song as Latin influenced, sparkling song. St. Petersburg Times editors Eric Snider and Annelise Wamsley described Love Will Save the Day: "a unique tune on an extremely mainstream album. Its lively Afro-Cuban flavor, driven by a wall of clattering percussion, is truly joyous." At this time, Whitney Houston had achieved a record-breaking string of seven number-one hits, with four of those #1's from her current album "Whitney". "Love Will Save the Day" did not become Houston's eighth consecutive number one, but continued her trend of hit singles by peaking in the US Top 10. The #9 peak on the Hot 100 was Houston's lowest solo peak up to this time. The song also made the Top 10 without an accompanying music video. Houston had stronger performances on the charts prior to this song but it did remain in the top 40 for 11 weeks, and reached #5 on the R&B Chart, and #1 on the Hot Club/Dance Play Tracks. On the Radio & Records Airplay chart the song debuted at #33 on the July 7, 1988 issue, after five weeks it reached and peaked at #7 staying there for two weeks and staying on the top 10 of the chart for four weeks, the single remained on the chart for ten weeks. Internationally, the song mostly saw less success except in the Netherlands where it reached number 6 and the United Kingdom, where it peaked at #10 and Switzerland, where it went Top 20. It was a moderate hit in Germany, making 37; and was a minor hit in Australia, peaking at 84. After her sudden death, Entertainment Weekly would rank the song #20 on its list Whitney Houston: Her 25 Best Songs and stated: "Though the single broke her streak of consecutive No. 1's, the Miami bass and spicy horns on this high-BPM dance-pop workout pointed to Houston's willingness to experiment and evolve." ^ "Whitney Houston: Her 25 best songs". Entertainment Weekly. February 17, 2012. Retrieved July 1, 2015. ^ "Response from ARIA re: chart inquiry, received June 17, 2014". imgur.com. Archived from the original on November 29, 2014. Retrieved September 16, 2015. ^ "Ultratop.be – Whitney Houston – Love Will Save the Day" (in Dutch). Ultratop 50. ^ "Lescharts.com – Whitney Houston – Love Will Save the Day" (in French). Les classement single. ^ "Single Chartverfolgung - Whitney Houston" (in German). Musicline.de. Retrieved November 11, 2011. ^ "Dutchcharts.nl – Whitney Houston – Love Will Save the Day" (in Dutch). Single Top 100. ^ Salaverri, Fernando (September 2005). Sólo éxitos: año a año, 1959–2002 (1st ed.). Spain: Fundación Autor-SGAE. p. 698. ISBN 84-8048-639-2. ^ "Swisscharts.com – Whitney Houston – Love Will Save the Day". Swiss Singles Chart. ^ "Whitney Houston: Artist Chart History". Official Charts Company. Retrieved April 23, 2017. ^ "Love Will Save the Day - Whitney Houston". Billboard. Nielsen Business Media, Inc. Retrieved November 11, 2011. ^ "Whitney Houston Chart History (Adult Contemporary)". Billboard. Retrieved April 23, 2017. 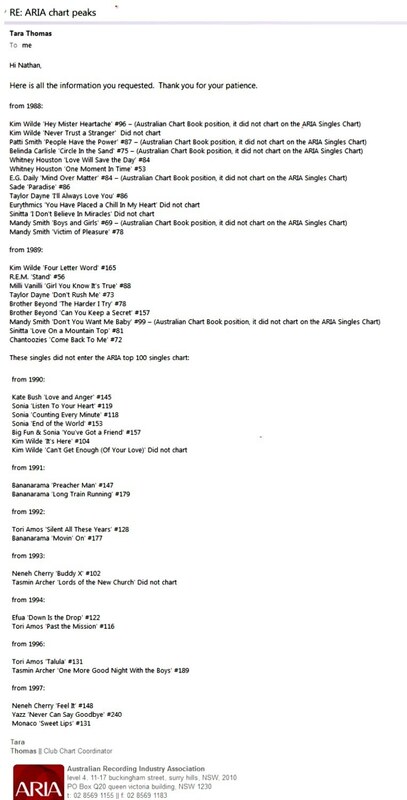 ^ "Whitney Houston Chart History (Dance Club Songs)". Billboard. Retrieved April 23, 2017. ^ "Whitney Houston Chart History (Hot R&B/Hip-Hop Songs)". Billboard. Retrieved April 23, 2017. ^ "Dutchcharts.nl - Jaaroverzichten - Single 1988" (in Dutch). Hung Medien. Retrieved June 2, 2011. This page was last edited on 9 April 2019, at 07:05 (UTC).